It's in your gift cards and maybe even your transit pass. It's starting to appear on your phone. How far is it going to go? 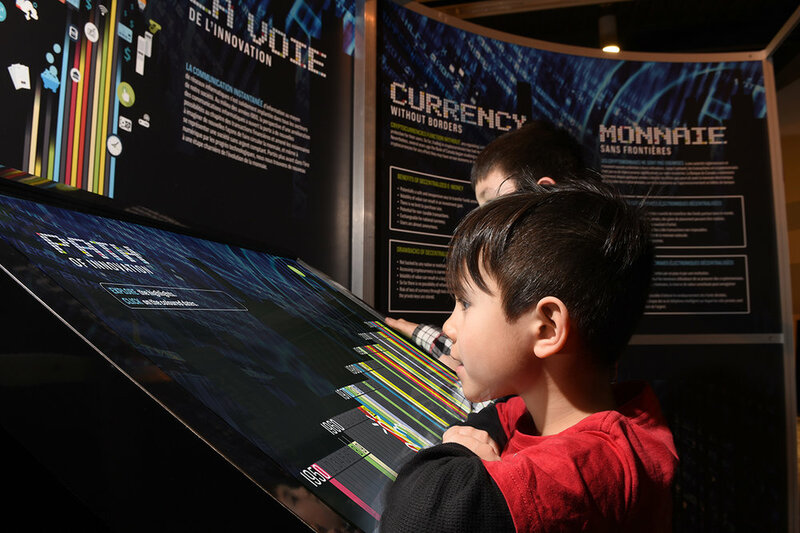 Decoding E-Money is a travelling exhibition from the Bank of Canada Museum that explores the past, present and future of electronic money and electronic payment systems. 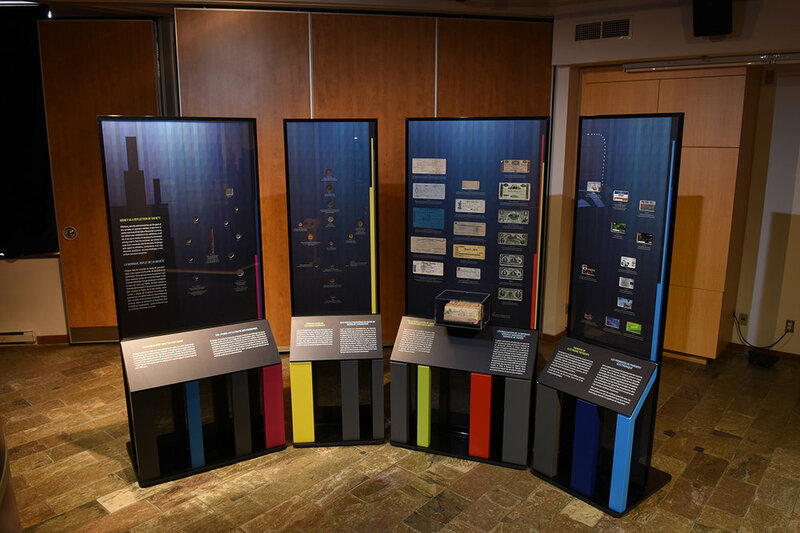 While raising awareness of e-money, this exhibition also helps visitors understand the possible effects of the widespread use of one form of e-money: digital currency. Decoding E-money explores the voyage of your dollars from purchase to deposit through various traditional and e-payment systems. 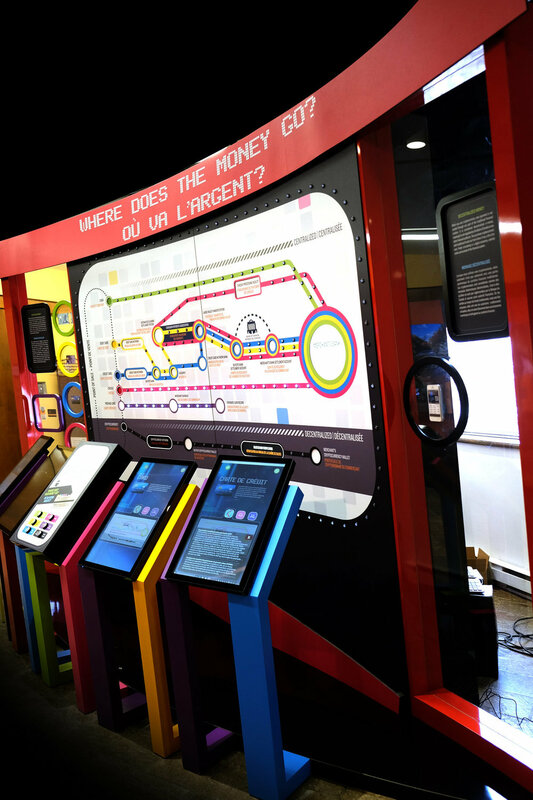 Learn about a whole new kind of money as cutting-edge graphics and fun, interactive displays introduce you to the high-tech intricacies of Bitcoin and other web-based currencies. 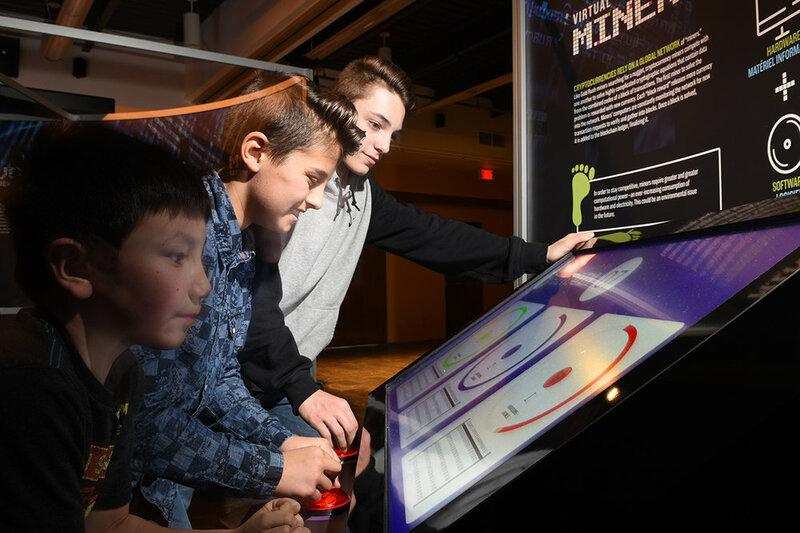 Explore more than 60 artifacts covering the way Canadians have spent their money over the course of 200 years. From trading tokens to the most recent precursors of today’s e-money, these artifacts at one time challenged our notions of acceptance much the way that Bitcoin challenges us today. 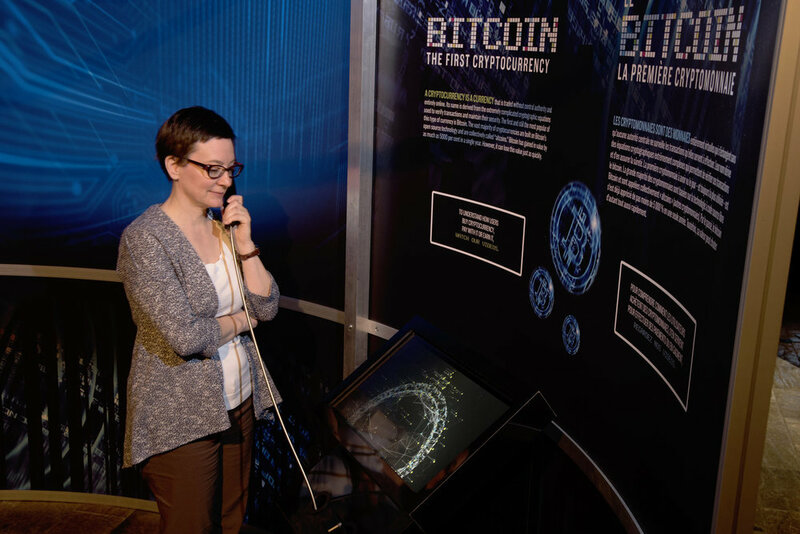 The exhibit includes games that help players experiment with and understand more deeply the philosophies and principles behind various e-money transaction tools from credit and debit cards, to cryptocurrencies and blockchain. 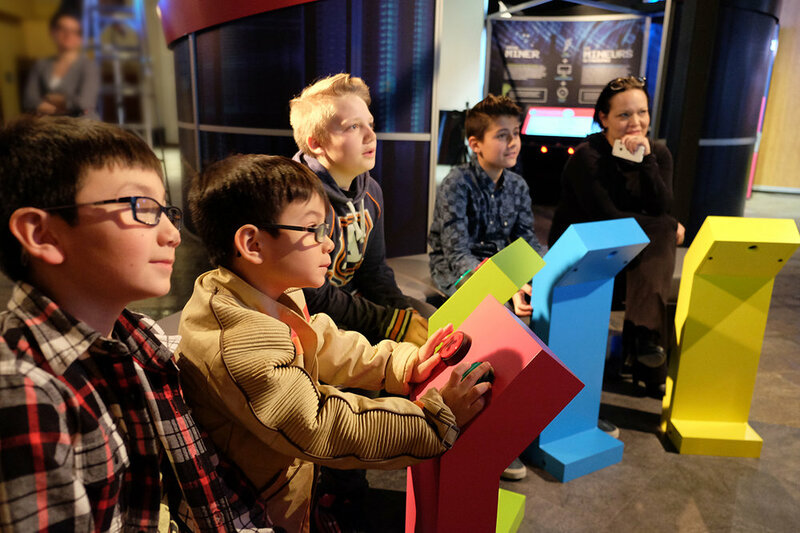 One of the aspects that games will underline is the intense competition involved in verifying and completing digital transactions so they become permanent and unchangeably embedded in a public transaction record. The technology that enables this form of decentralized currency has the potential to bring fundamental change to existing financial systems and is of great interest to the Bank of Canada and other central banks.